This month I have focused on the future of Social Media and Social Media Capital in evaluating and hiring candidates. While recruiters and hiring managers are increasingly using many forms of social media to find, evaluate, and make their next hires, you shouldn’t overlook the power of this tool in your job search. Just to be clear, I am not talking about reviewing LinkedIn job postings, although you shouldn’t overlook those. 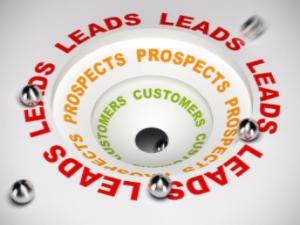 If you are not already using LinkedIn to generate job leads, then read on. If you have followed past editions of our newsletter, you already know that I believe you can adapt concepts from the book Blue Ocean Strategy, by W. Chan Kim and Renee Mauborgne, to accelerate your job search. As a quick reminder, the “blue ocean” is calm, and there is plenty of room to distinguish your brand and find (or create) new opportunities. This is so different from swimming in the crowded “red ocean”, where you are seen as a commodity and are fighting for scraps. Now you are ready for the fourth step, which is treating LinkedIn like a news feed. This means following target companies and “Influencers” (people with credibility who post regularly in your industry or function). It doesn’t stop there, however. It is important to start connecting the dots, some of which might not appear to be related. You have been involved in an industry that is steeped in tradition. You have worked for manufacturers of a product with sales that are in decline. You have excellent project management skills, have built excellent presentation skills at respected industry trade shows, and love new technology. Start exploring the most innovative companies in manufacturing (not just in your product niche). Read up on every company with a new technology that is manufactured, like wearable technology or 3D printing. How can you add value? How can you build connections before job postings are announced? By researching companies on LinkedIn (and other online research tools), you can build a list that fits your ideal company profile, including geography, revenue size, number of employees, and so on. Your goal is to build relationships and uncover opportunities through networking once you know your target market, instead of waiting for postings.